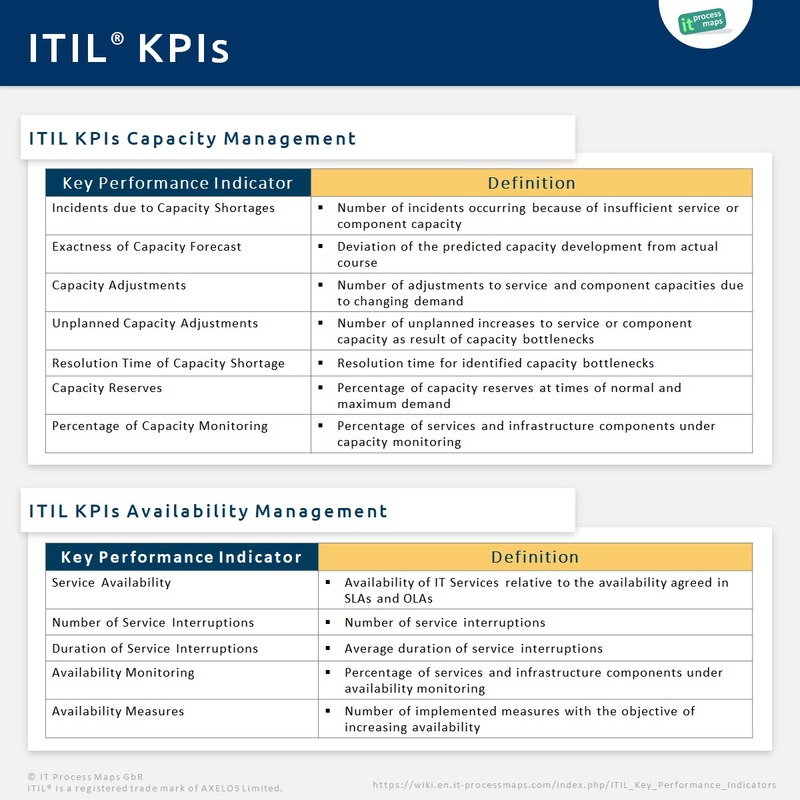 Are you searching for suitable ITIL 2011 metrics? Process owners use objective quality criteria (quality metrics, also known as key performance indicators) to assess whether their processes are running "well". This puts them in a position to decide upon the need for process improvements. Are you seeking to apply suitable metrics to assess and improve your organization's ITSM processes? The IT Process Wiki contains a collection of such KPIs which you can use as a starting point when designing process metrics for your organization. The suggested process metrics comply with the ITIL 2011 recommendations and were enhanced with elements from COBIT®.